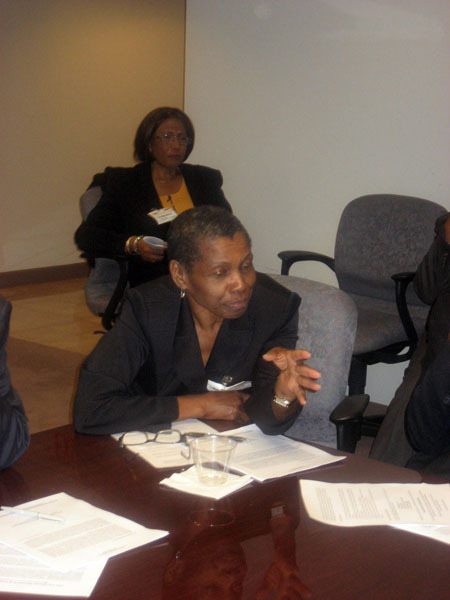 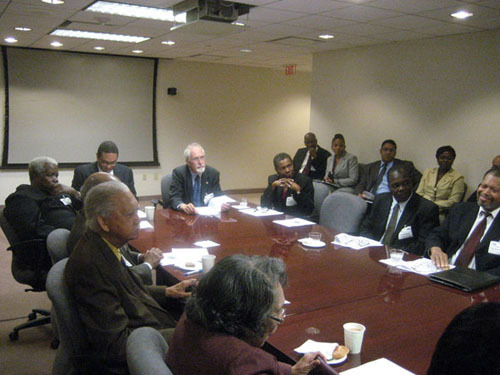 The CRPC Roundtable discussion on “Financial Sector Reform in the Caribbean” brought together a number of Caribbean diaspora economists, international financial institution expertise, banking experts and others with years of experience in national, regional and international financial sectors, as well as from academia and the private sector. 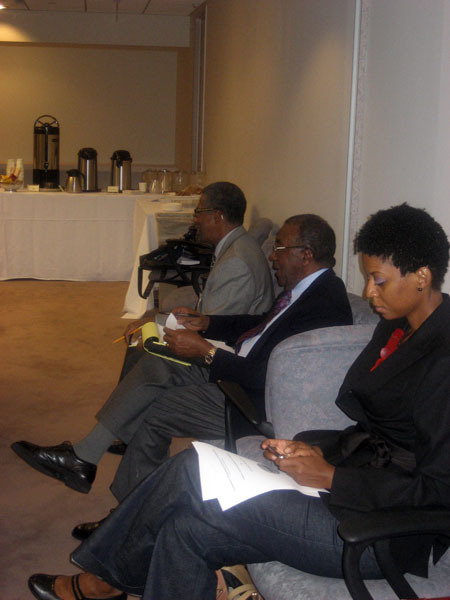 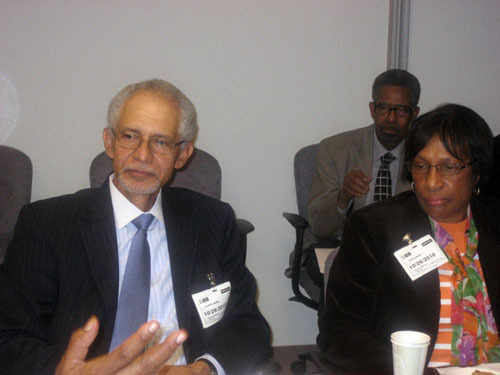 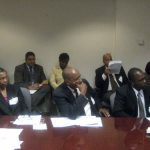 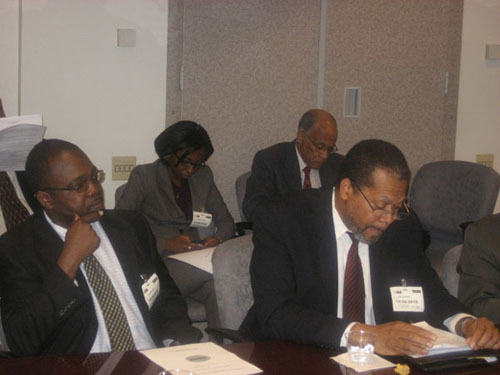 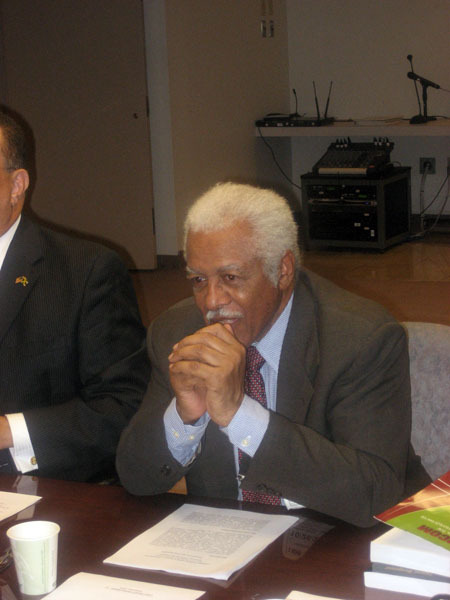 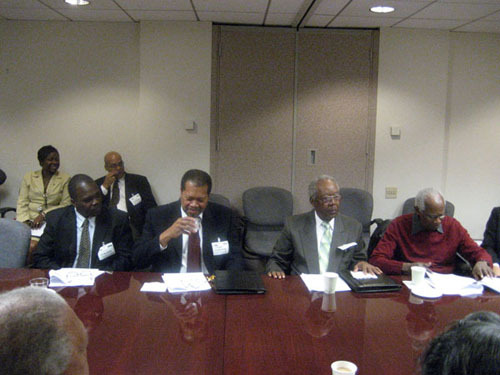 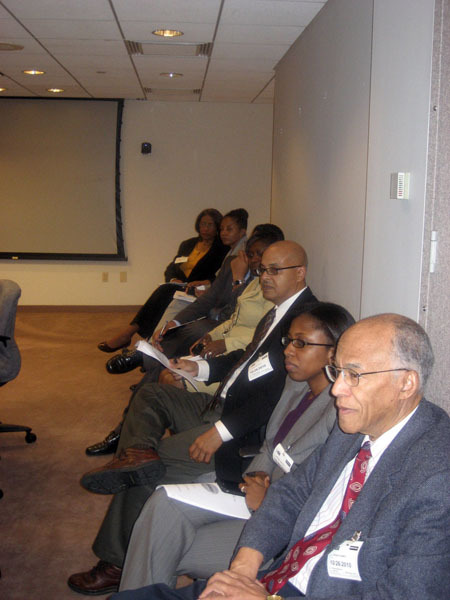 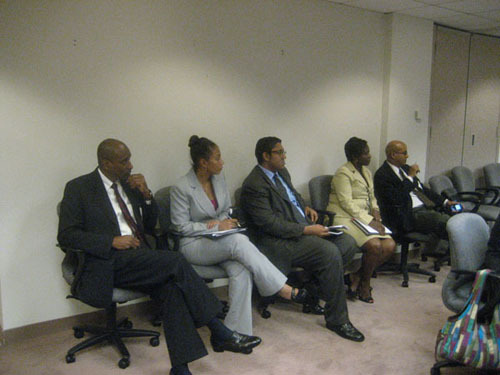 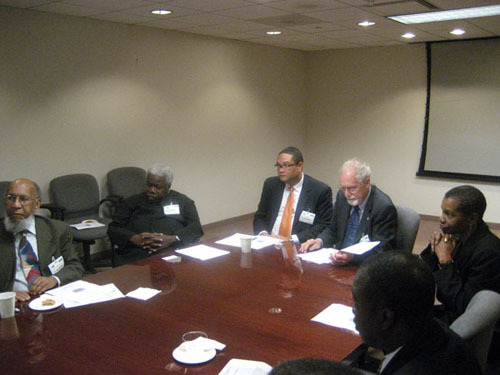 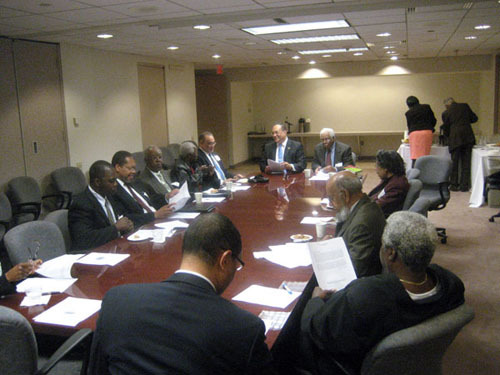 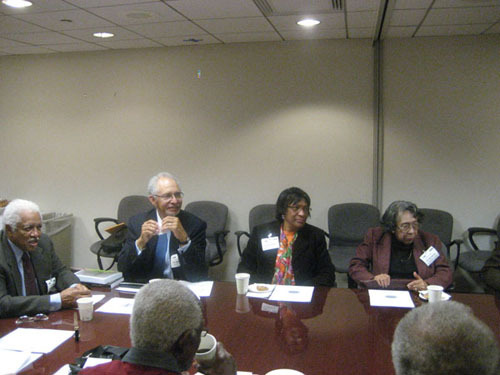 The participants were welcomed to the symposium at the IDB venue by CRPC Chairman, Ambassador Curtis Ward. 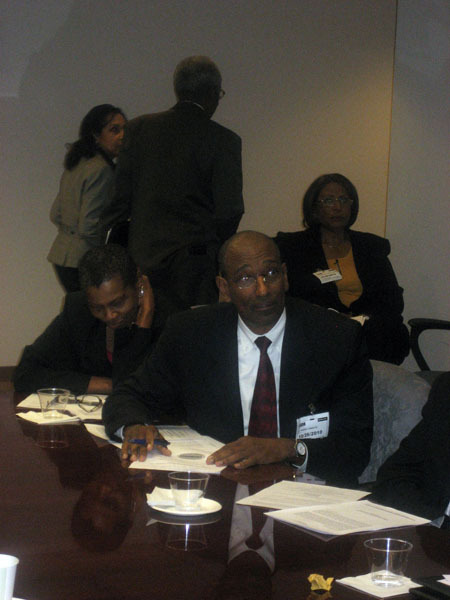 Internationally acclaimed financial sector economist, Sir Courtney N. Blackman, PhD, prepared an Issue Paper for the CRPC which he presented to the symposium to provide the basis for the discussions. 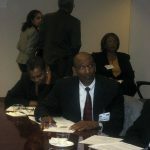 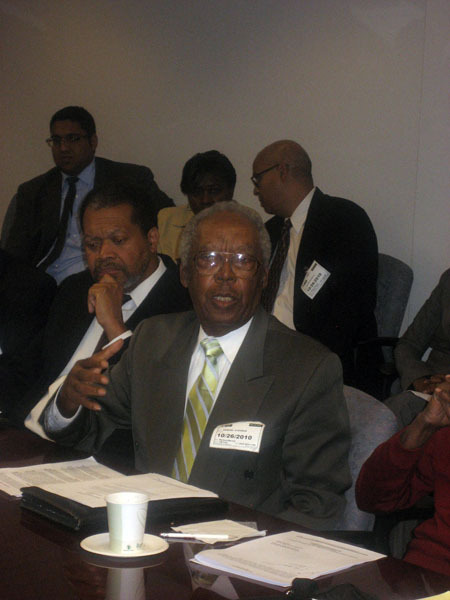 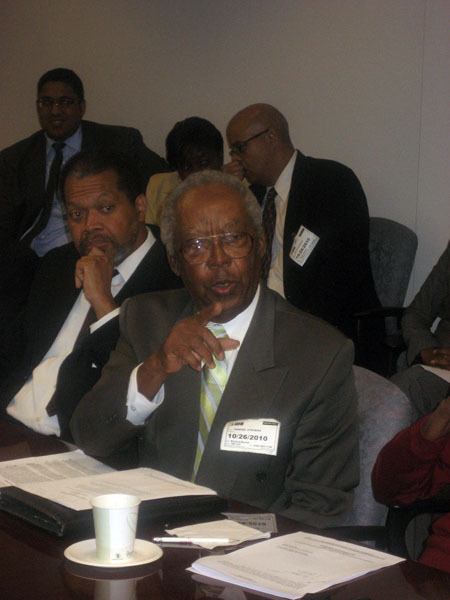 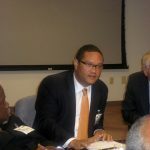 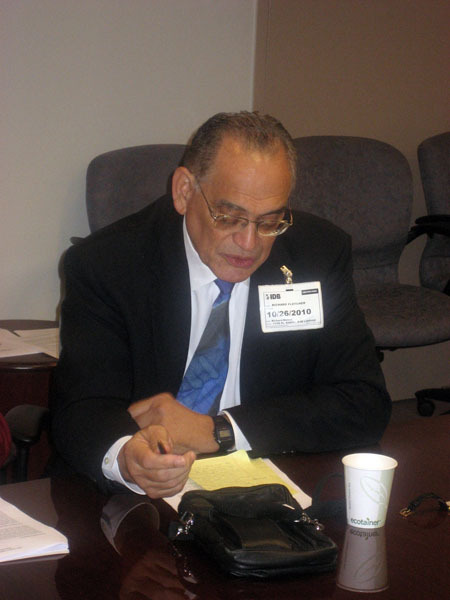 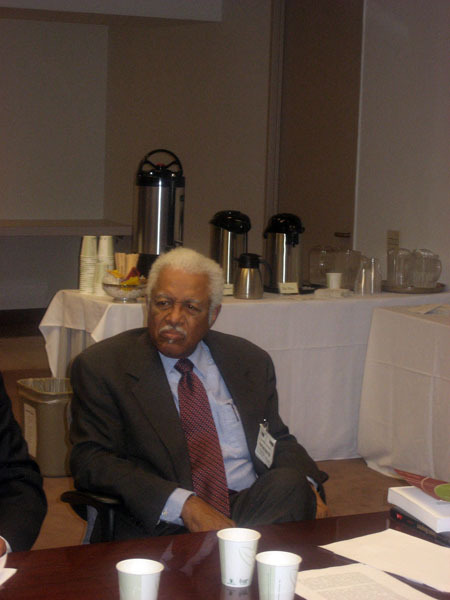 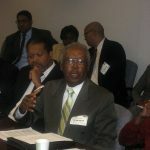 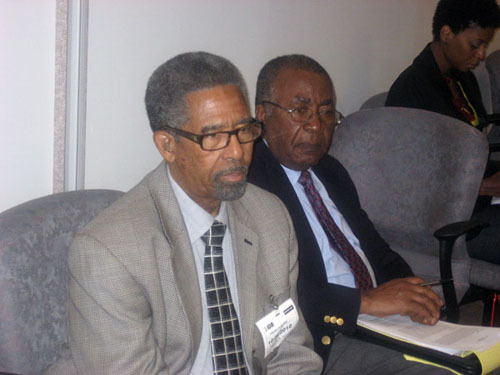 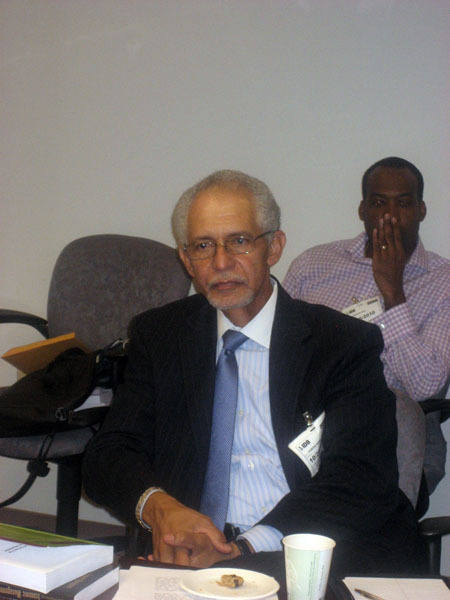 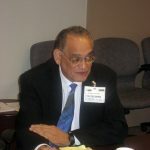 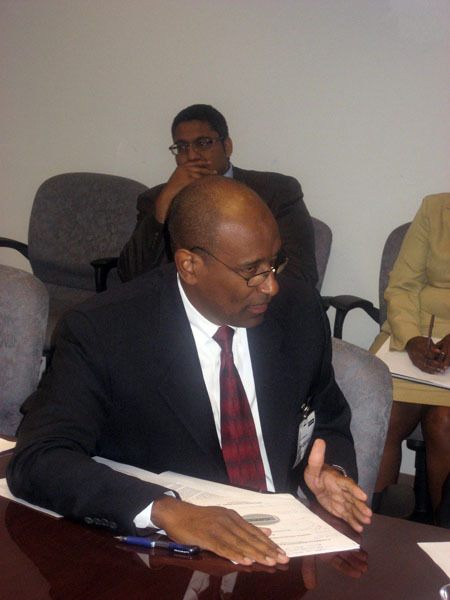 Sir Courtney is a former Governor of the Bank of Barbados and former Barbados Ambassador to the United States and Permanent Representative to the Organization of American States, and author of the book “The Practice of Economic Management: a Caribbean Perspective” [Ian Randle Press, 2006]. 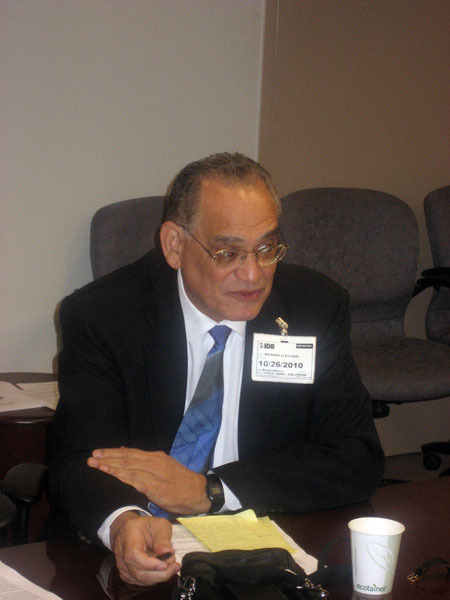 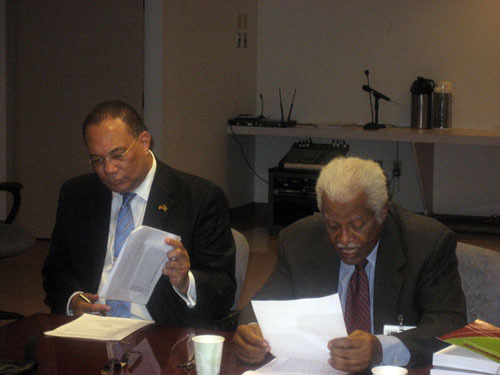 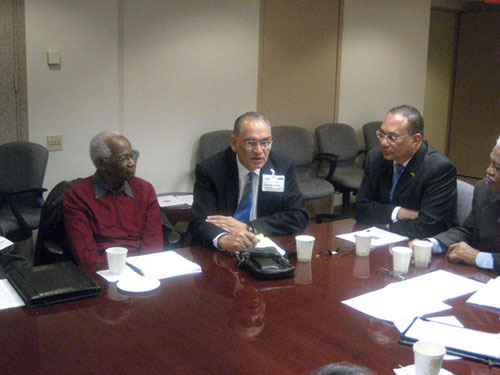 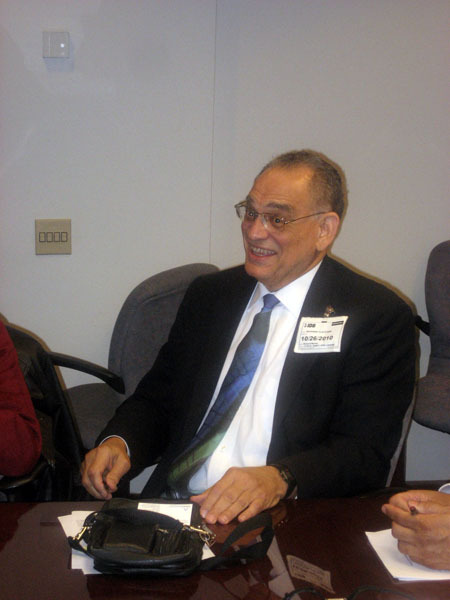 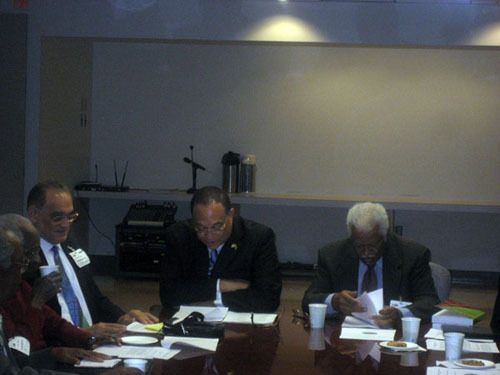 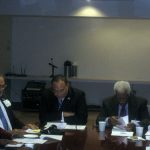 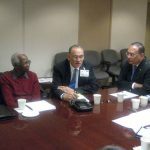 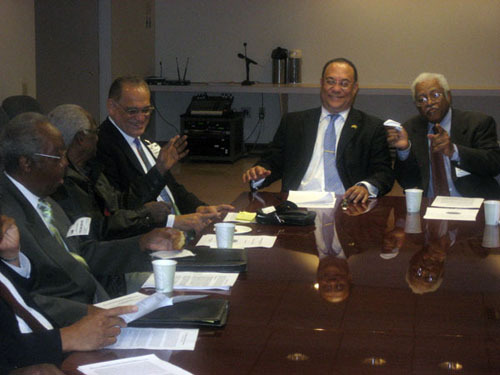 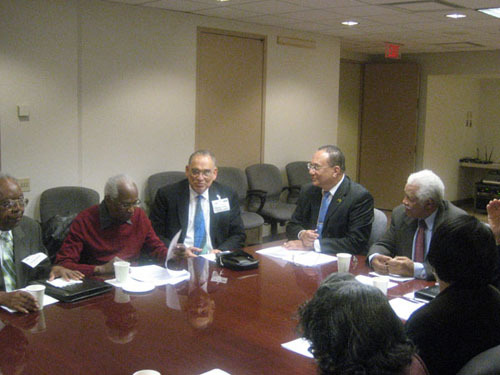 The roundtable discussion was moderated by Ambassador Dr. Richard Bernal, PhD (Economics), Caribbean Director, Inter-American Development Bank, former Jamaica Ambassador to the United States and Permanent Representative to the Organization of American States, and former Director-General of the Caribbean Regional Negotiating Machinery. 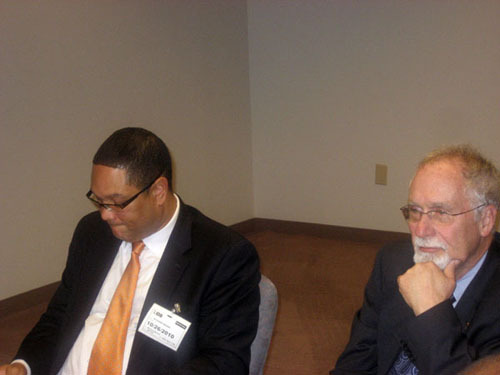 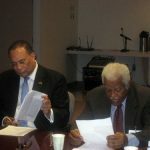 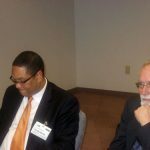 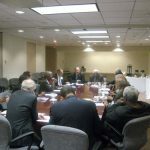 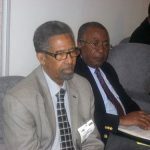 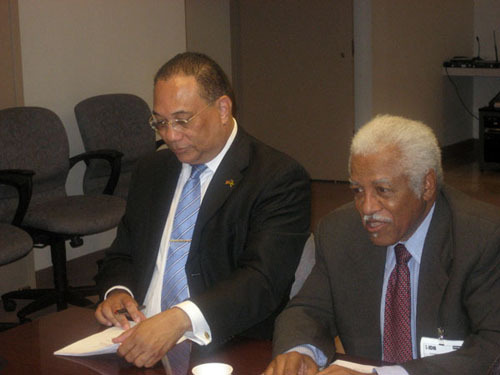 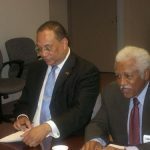 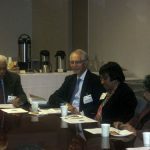 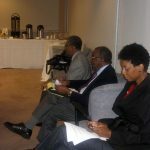 The discussions were led by two primary discussants – Mr. Sam Stephens, a former IMF Economist and Mr. Richard Fletcher, a former IDB Economist and Trustee of the Phelps Stokes Fund. 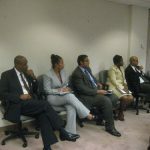 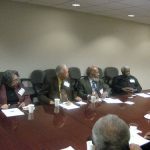 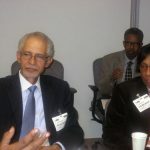 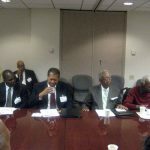 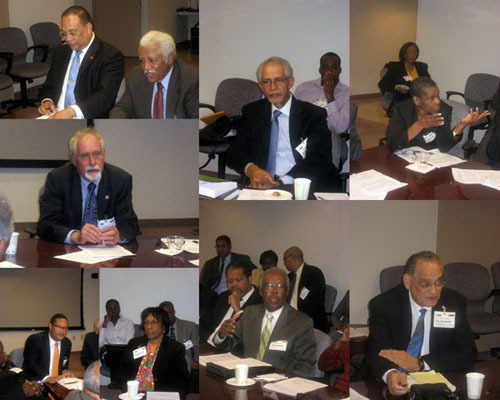 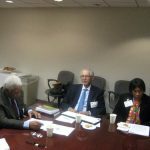 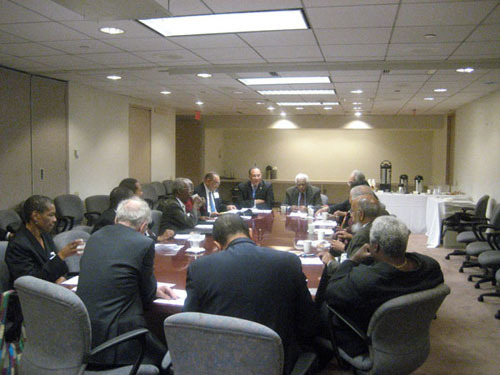 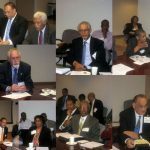 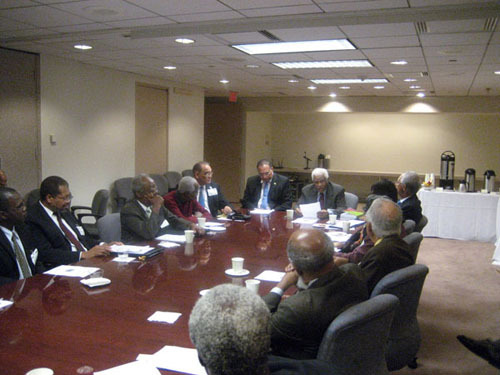 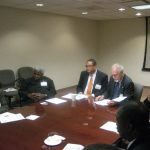 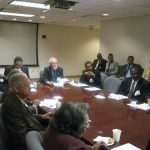 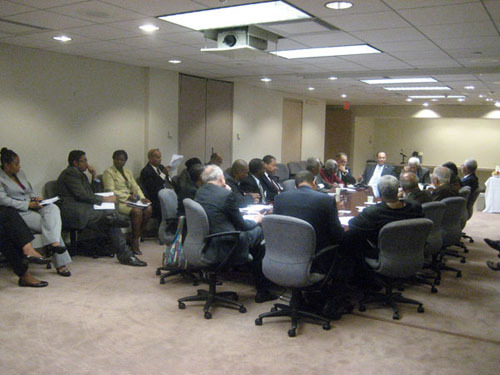 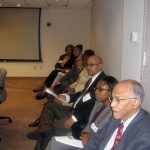 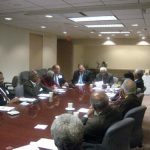 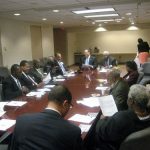 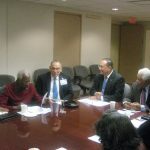 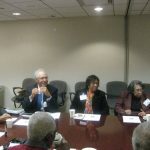 Significant inputs in the discussions were provided by Howard University economics professors Dr. Ransford Palmer and Dr. Vincent McDonald, as well as former Acting Treasurer of the IDB Dickie Woodham, and University of Maryland Professor Dr. Dorith Grant-Wisdom. 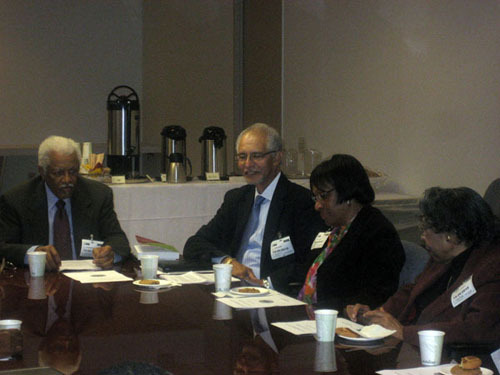 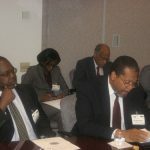 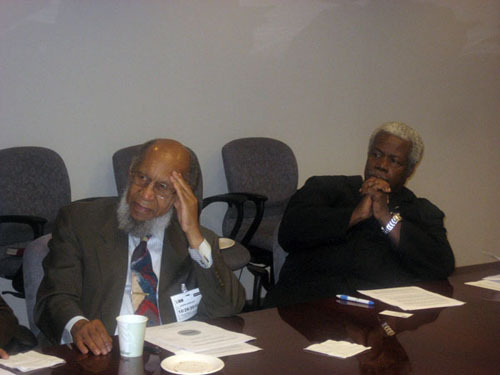 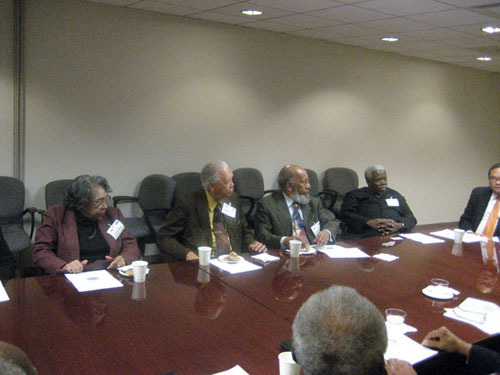 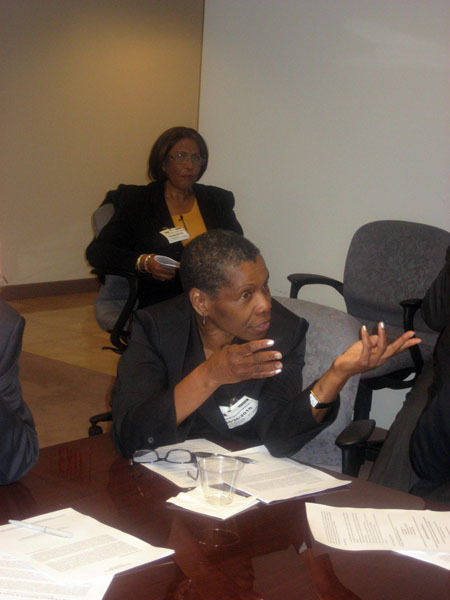 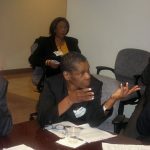 Symposium participants included Sir George Alleyne, Stanford University Economics Professor Emeritus Dr. Donald Harris, a number of former and current Caribbean ambassadors, professional staff of the World Bank, IMF, and IDB, and several members of the Caribbean diaspora professional and business sectors. 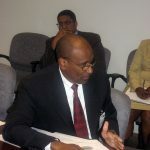 In his presentation, Sir Courtney highlighted weaknesses in the financial systems of Caribbean countries and offered recommendations for reform. 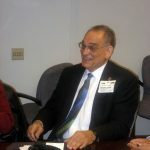 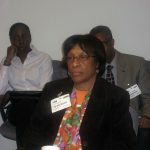 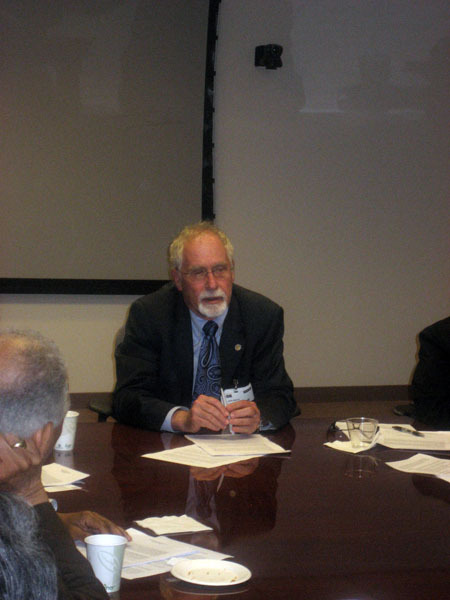 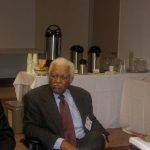 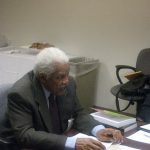 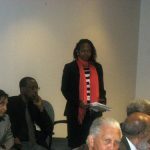 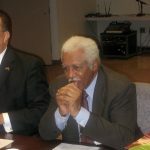 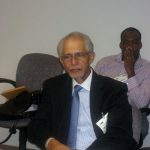 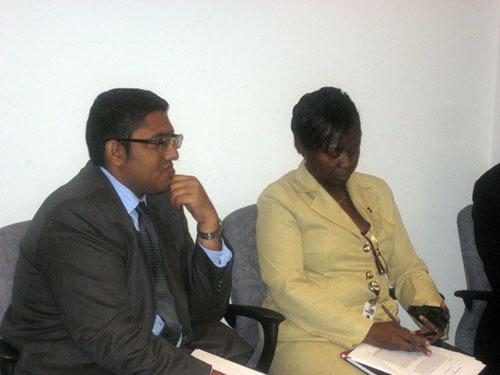 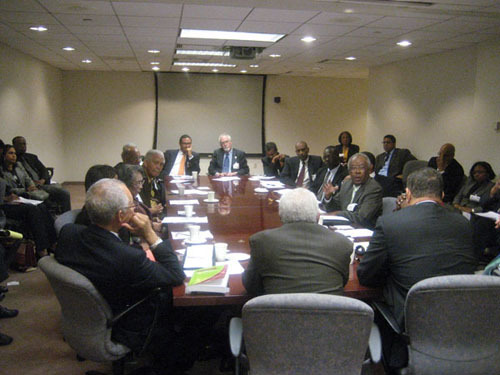 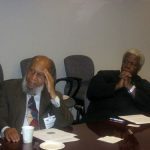 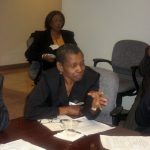 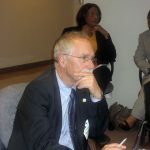 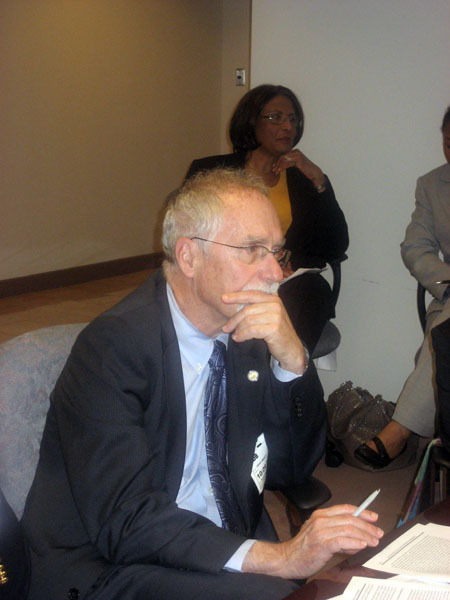 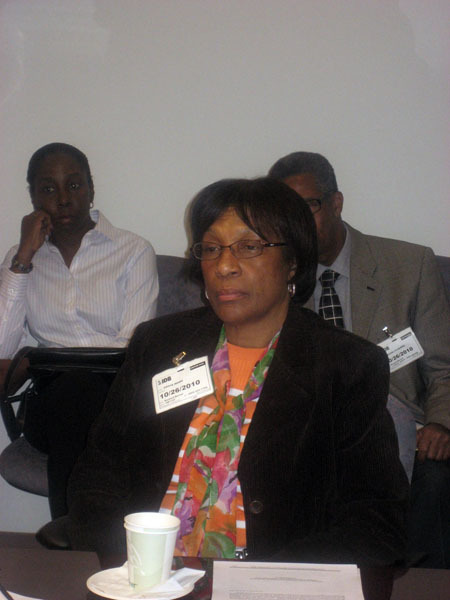 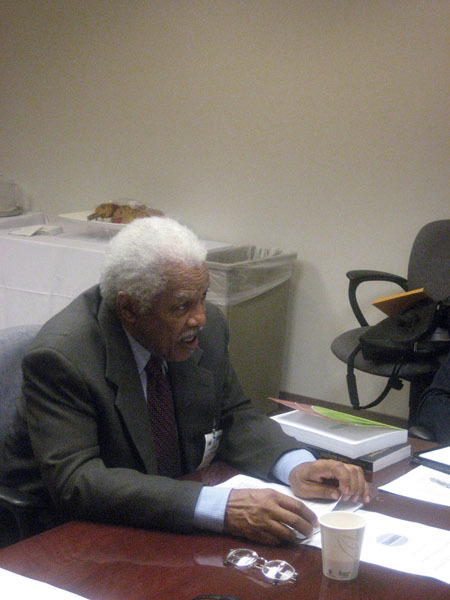 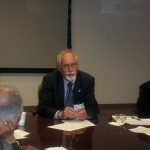 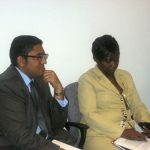 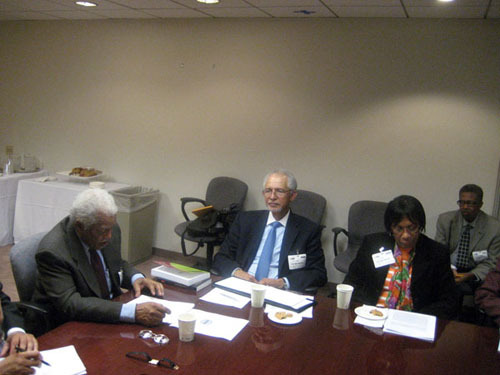 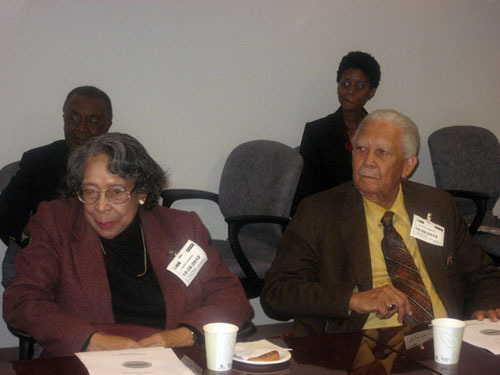 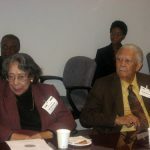 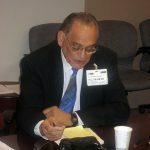 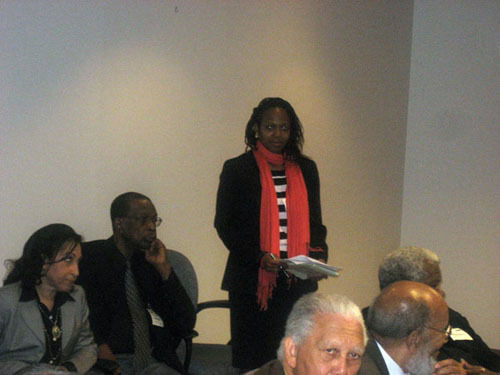 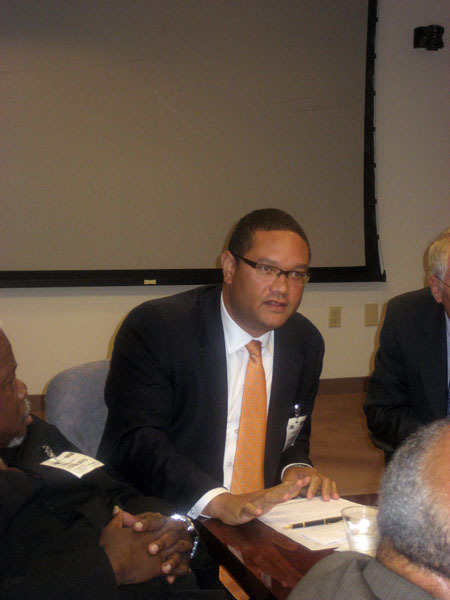 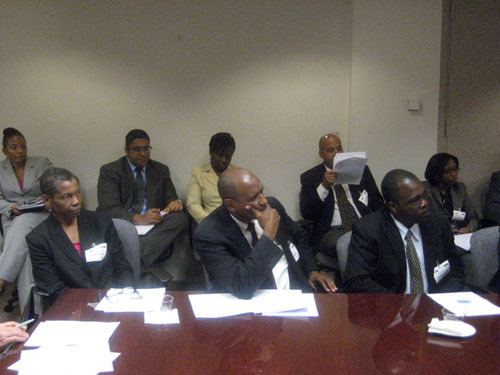 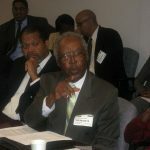 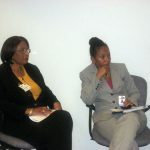 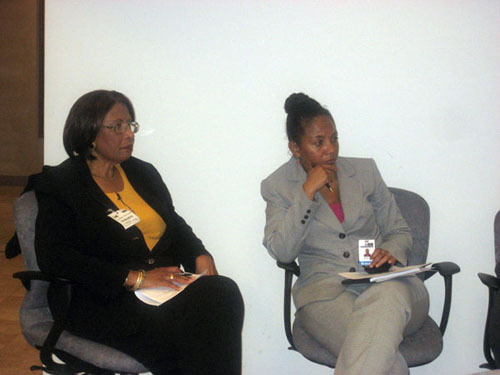 A number of Sir Courtney’s observations and recommendations, as well as the weaknesses and vulnerability to external shocks, which were identified in his Issue Paper, were supported by a number of discussants who offered their own experiences working in and with Caribbean national and international financial institutions (IFIs). 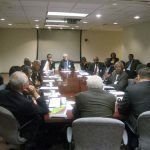 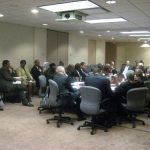 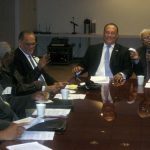 The general consensus was that, in order to reduce risks to the Caribbean financial sector, there was an urgent need for reform, and that reforms should be a priority for Caribbean governments and private sector financial entities.